KKR skipper won the toss and he elected to bowl, looking at the pitch condition. 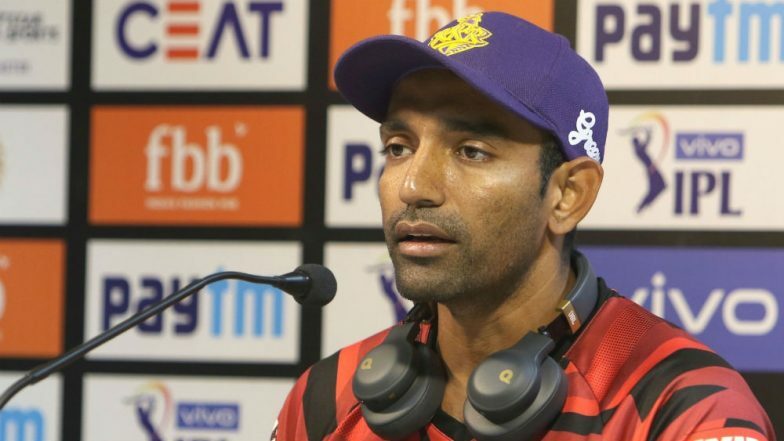 Prior to the beginning of this game between Rajasthan and Kolkata, there was sandstorm in Jaipur, which made Robin Uthappa wear a face mask to protect himself from the polluted air. Rajasthan Royals has already lost the wicket of their skipper Ajinkya Rahane, who is dismissed fa or leg before by KKR bowler Prasidh Krishna. Meanwhile, Robin Uthappa has put off his mask as weather condition now at Jaipur seems to be fine.